A Fluvanna County Post Office now honors a fallen navy sailor who once called Palmyra his home. FLUVANNA COUNTY, Va. (WVIR) - A Fluvanna County Post Office now honors a fallen navy sailor who once called Palmyra his home. US Navy Seaman Dakota Kyle Rigsby was killed in action in 2017. On Saturday, community and service members gathered to celebrate his life by dedicating an area post office in his memory. Dakota Rigsby&apos;s family, friends and loved ones gathered on Saturday at the Palmyra Post Office to pay tribute to his legacy. Anytime community members purchase stamps or ship a package, they will be reminded of Rigsby&apos;s service and sacrifice. On Saturday, the Palmyra Post Office was officially renamed to honor U.S. Navy Seaman Dakota Kyle Rigsby. “Words can&apos;t describe the joy that I felt that everybody would know Dakota,” said Shawn Rigsby. In July of 2018, Rep. Thomas Garrett introduced a bill (H.R. 3183) to dedicate the Palmyra Post Office in honor of Dakota Rigsby. The bill was signed into Public Law 115-209 by President Trump on July 24, 2018. "Having this here in Fluvanna County, it honors all of our citizens, it gives them a sense of community,” said Fran Kipper, with USPS. That dedication finally became a reality. “Anytime you walk into the post office you&apos;ll see a plaque that has his name written on it and it will let everyone know the sacrifice that he made for this country,” said Shawn Rigsby. 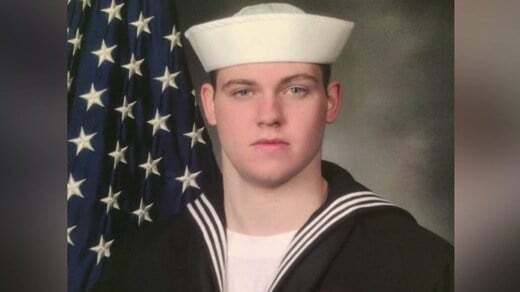 Dakota Rigsby was one of seven navy sailors killed on board the U.S.S Fitzgerald when it collided with another ship in 2017. “There are days that I don&apos;t believe that he&apos;s gone and then you stop and remember he&apos;s no longer here,” said Shawn Rigsby. Rigsby, spent most of his life in Palmyra and volunteered for the Lake Monticello Fire Department. On Saturday, service and community members honored him and his sacrifice. “I&apos;m really grateful for everybody&apos;s support and love of Dakota and I hope that he&apos;s never forgotten because we love him very much and we always will,” said Shawn Rigsby. A plaque in Dakota Rigsby&apos;s honor is on display inside of the newly named post office.